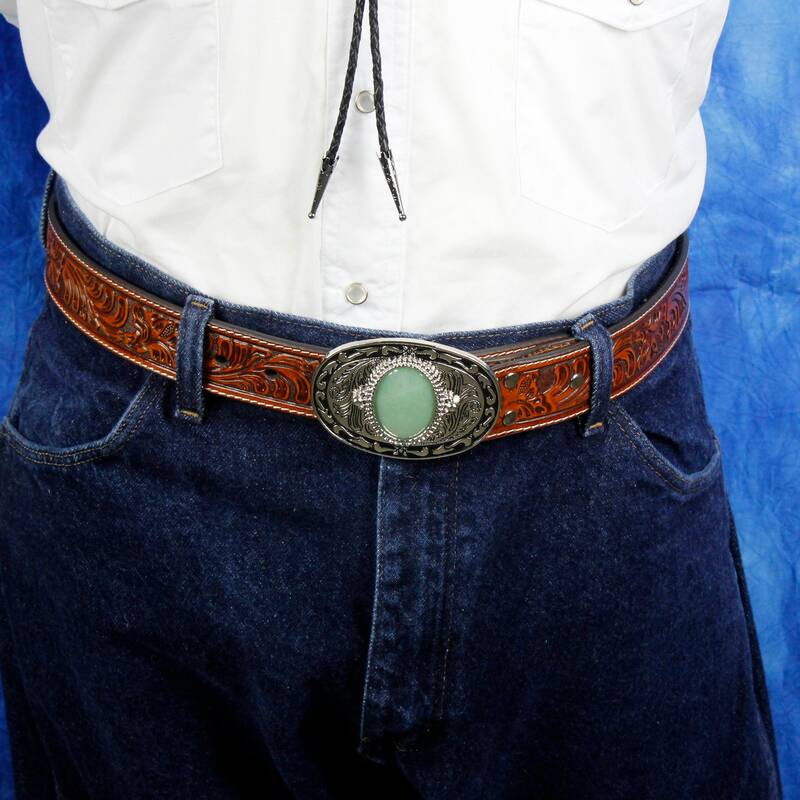 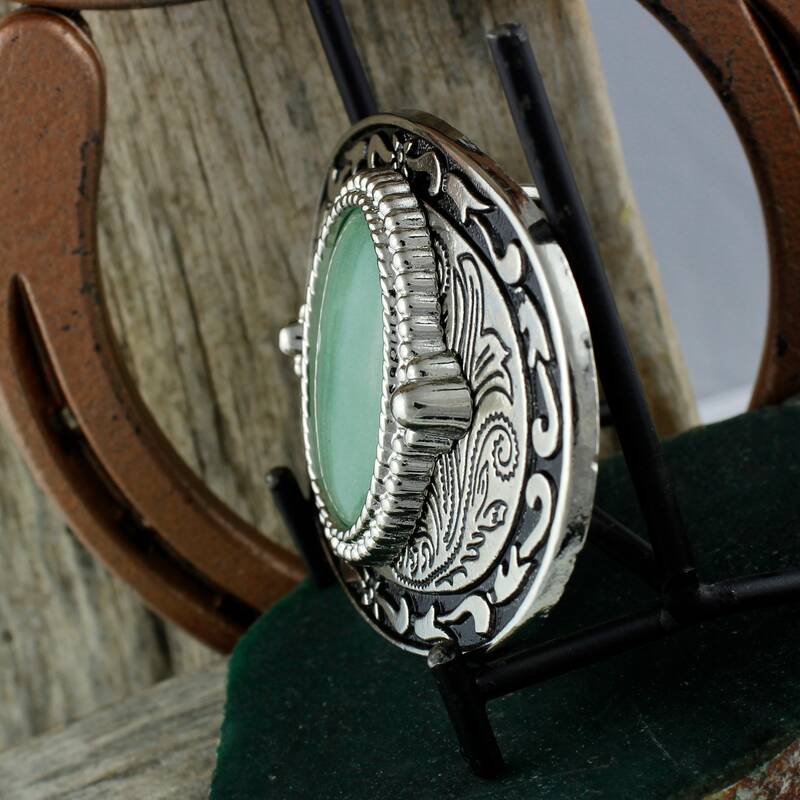 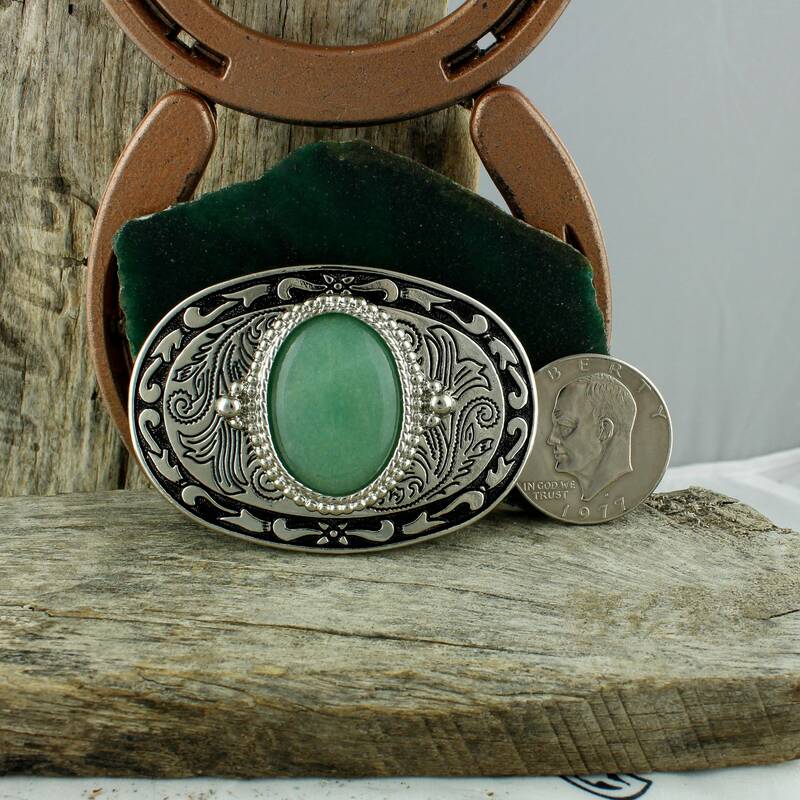 Natural Aventurine Buckle - Western Belt Buckle - Cowboy Belt Buckle: This gorgeous silver tone & black western belt buckle features a natural green Aventurine stone. 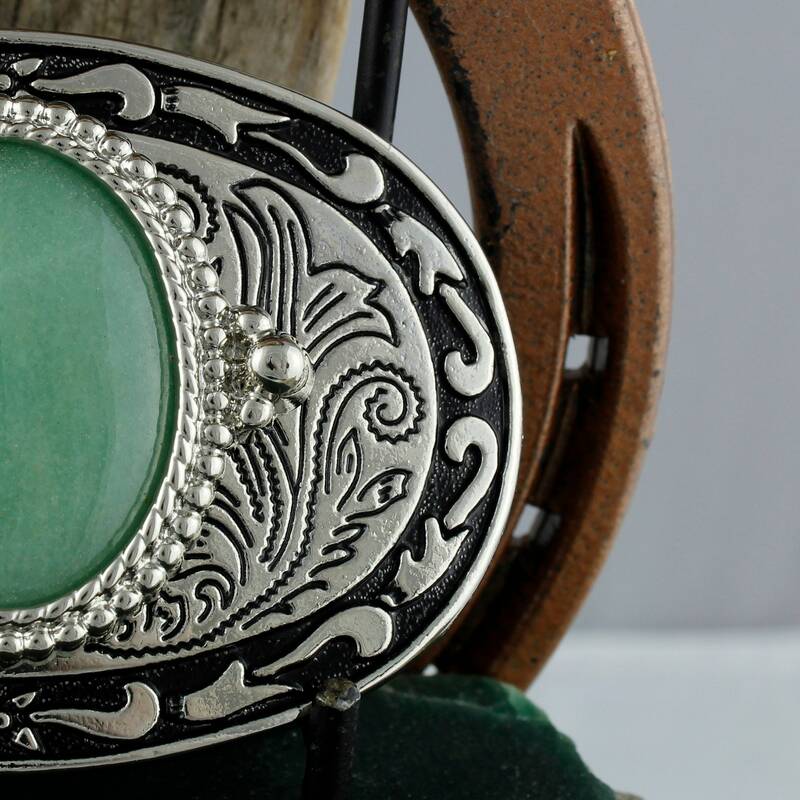 The Aventurine stone is 40mm x 30mm (1 1/2" x 1 1/4"). 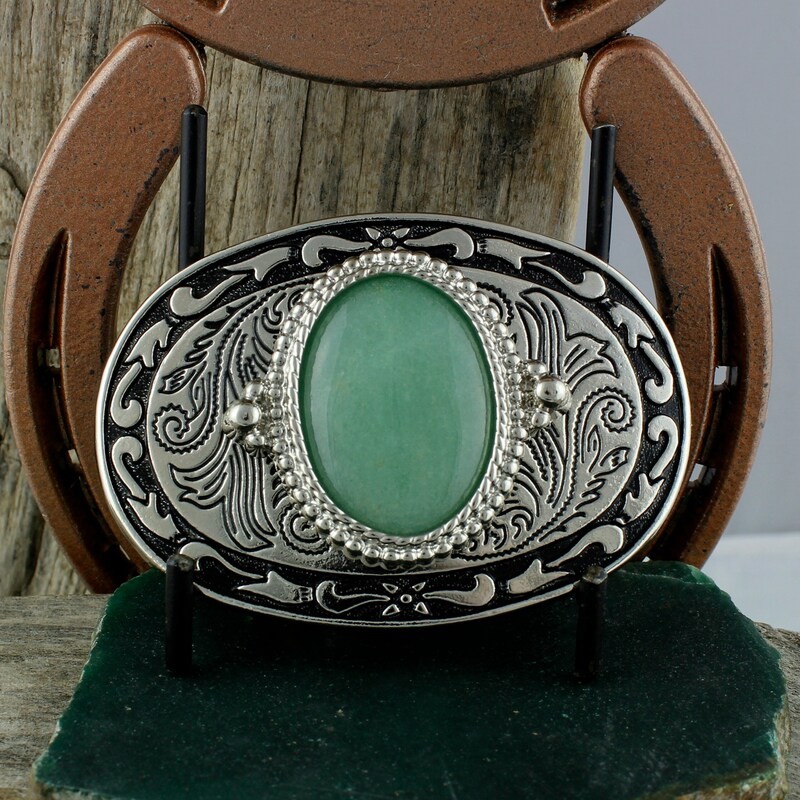 The oval buckle is 3 1/2" x 2 3/8" and will work with a belt that is up to 1 3/4" wide. 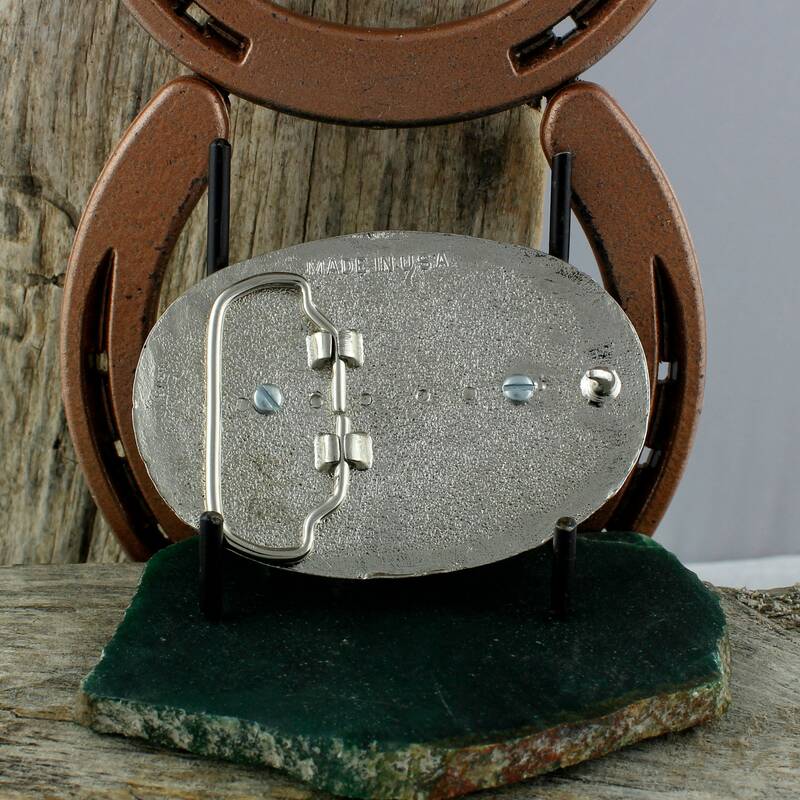 The belt buckle blank was made in the U.S. and was purchased from our supplier to hold our hand crafted stone. 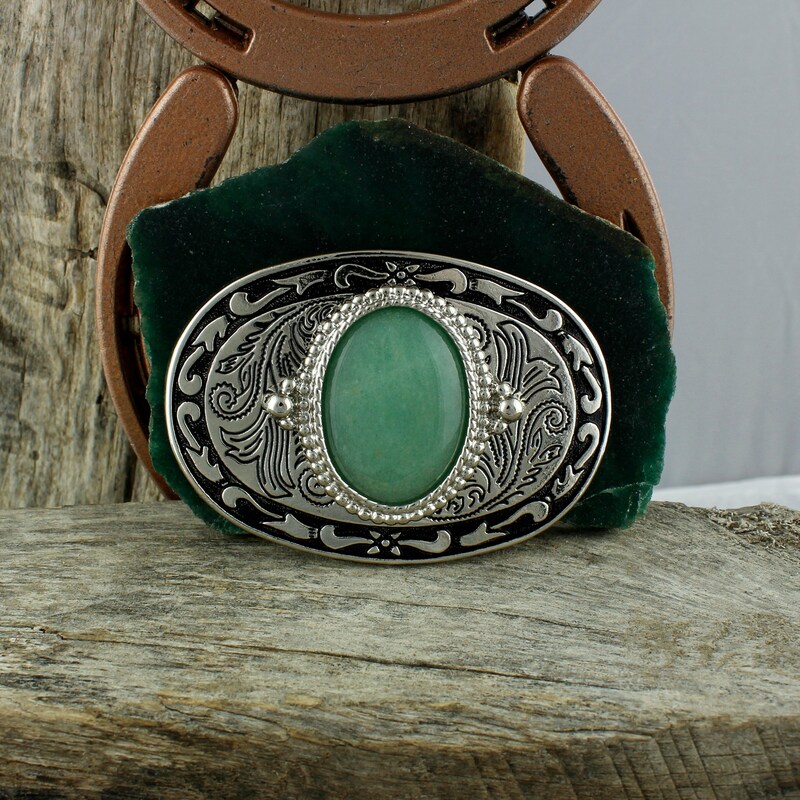 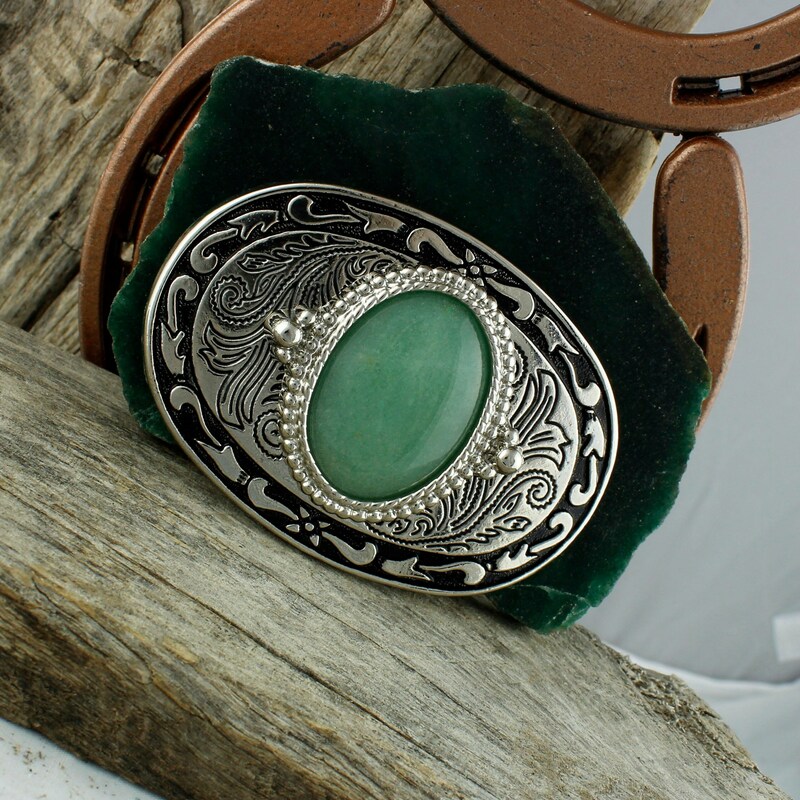 The Aventurine stone was shaped and polished in our workshop and it really pops in this buckle! 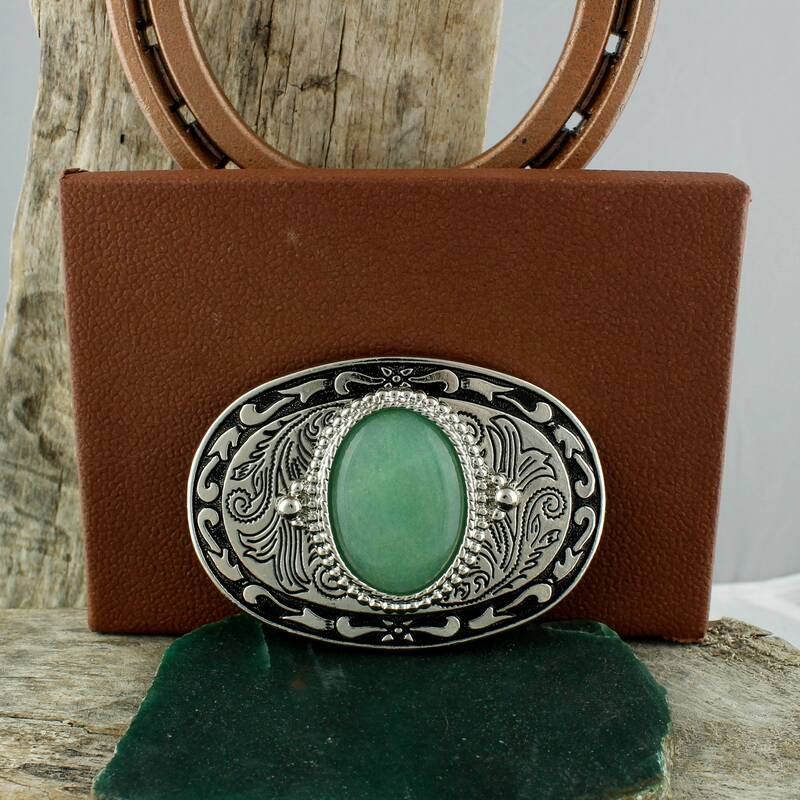 This beautiful green stone makes this a one of kind buckle that you can be proud to own or to give as a present! 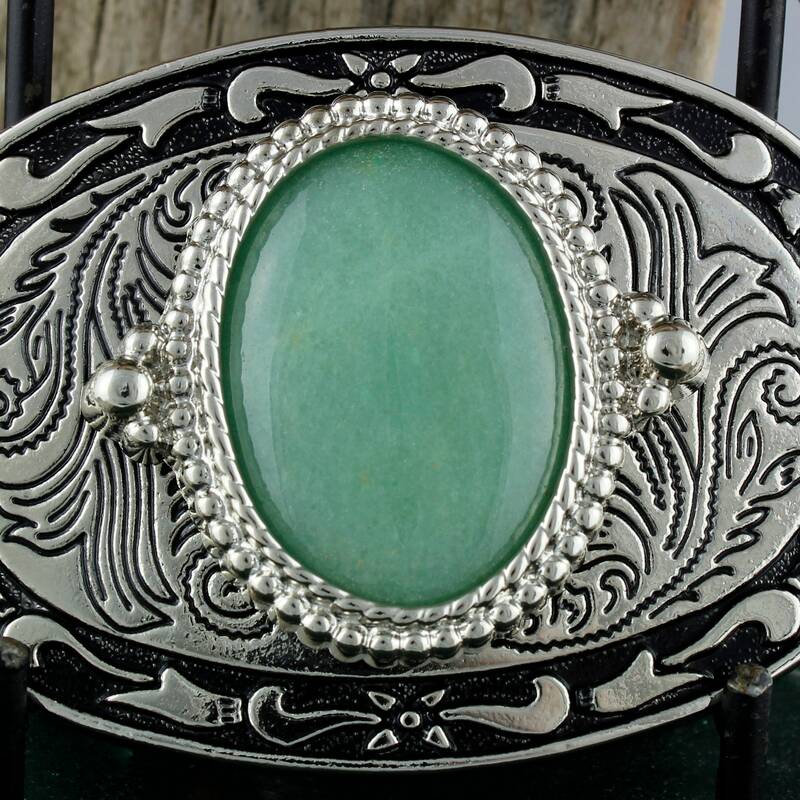 As with every buckle we sell, we will ship this buckle in an elegant gift box for no extra charge!